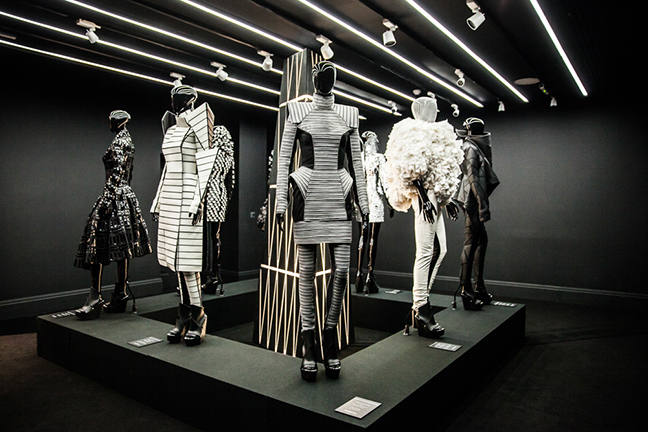 British fashion designer Gareth Pugh is celebrating the 10th anniversary of his label and a return to London Fashion Week with a retrospective exhibition of his major archive looks at Galeria Melissa in Covent Garden. 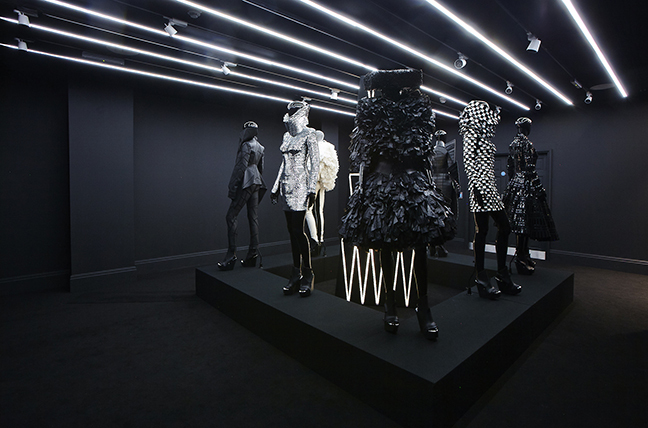 Displayed in a monochromatic setting with a filmic backdrop, each set of “modern armour” comes paired with a pair of Gareth Pugh shoes created in collaboration with Melissa Shoes. 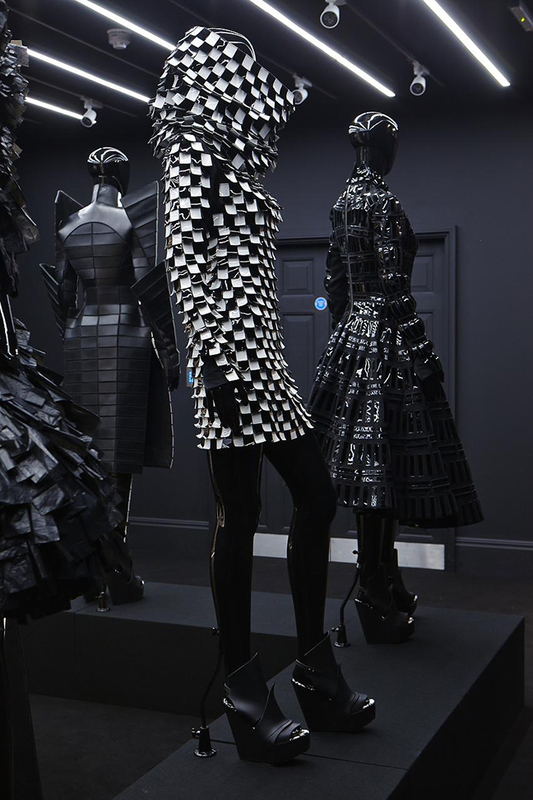 The exhibition marks the return of this visionary designer to London Fashion Week with a major fashion show planned for February 21st at the Victoria & Albert Museum which promises to be a provocative visual spectacle with a film installation, interactive technology and an immersive digital experience.